In the July-September quarter, the firm had reported a net profit of Rs 1,873 crore and revenues of Rs 8,735 crore. "The Global IT industry is undergoing a seismic change as the scope of IT buying expands to capture adjacencies beyond IT. This is not only changing the contours of the traditional buyer as we know it but also bringing technology to the very centre stage of organisational competitiveness," HCL Technologies Chairman and Chief Strategy Officer Shiv Nadar said. 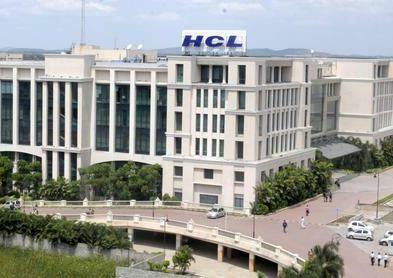 In such a scenario, a balanced portfolio, integrated IT services and engineering capabilities have ensured that HCL remains service provider of choice for companies looking for business model transformation, he added. In dollar terms, the company's net profit rose by 27.3 per cent to USD 307.2 million in the reported quarter, while revenues grew 12.8 per cent to USD 1.43 billion. "Our continued focus in developing next generation propositions around digitalisation, engineering platform services and target operating model for enterprise IT have allowed us to stay ahead of the innovation curve and gain significant market share in the global IT services market," HCL Technologies President and CEO Anant Gupta said. For the quarter ended December, HCL Technologies had cash and cash equivalents of Rs 1,221 crore. The company signed 15 transformational engagements during this quarter with more than USD one billion of total contract value (TCV). Total headcount of the company crossed the one lakh mark to stand at 1,00,240 at the end of December, with gross additions at 11,734 and net at 4,718. The attrition for IT services on LTM basis stood at 16.4 per cent. In order to expand the retail base, the company's Board has recommended issuance of bonus shares in the ratio of 1 share for every 1 share held. It also declared an interim dividend of Rs 8 per equity share of Rs 2 each.